This policy covers how Walshtown Retreat treats personal information that Walshtown Retreat collects and receives in connection with its public Web site. Personal information is information about you that is personally identifiable like your name, address, e-mail address, or phone number, and that is not otherwise publicly available. Walshtown Retreat collects personal information when you reserve with Walshtown Retreat and when you visit Walshtown Retreat’s public Web site. 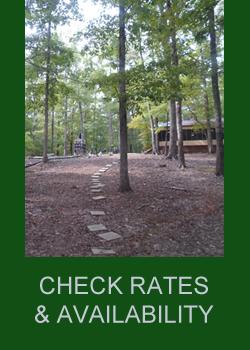 When you make a reservation with Walshtown Retreat we ask for some personal information. Walshtown Retreat automatically receives and records information on our server logs from your browser, including your IP address, Walshtown Retreat cookie information, and the page you request. Walshtown Retreat may set and access cookies on your computer. The Walshtown Retreat public Web site contain links to other Web sites; however, we are not responsible for the privacy practices or the content of such Web sites and do not make any representation as to the existence, sufficiency, accuracy or completeness of their Web sites or privacy policies. If you have questions or suggestions, please contact us at Walshtown Retreat. Attention: Privacy Officer, 1574 S. Wellington, Memphis, TN 38106.